Hello, I’m Eunmi Kim from Korea. I would like to talk about my story in New Zealand. Before I came to New Zealand, I had longed to study management courses and improve my English skills for work and my personal satisfaction. However, it was too hard to study and work at the same time due to my heavy workload and lack of time. So after hesitating and agonizing about that for a few years, I decided to study abroad, which would fulfill my two goals at the same time and would be a way of refreshing my tedious and tiring daily life. 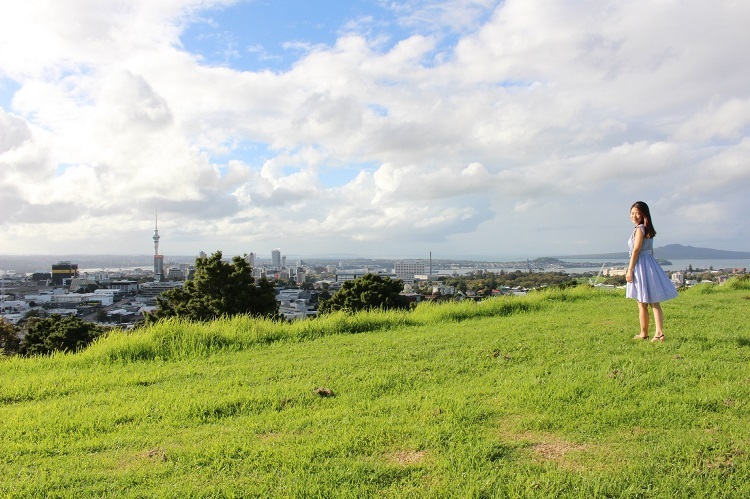 One of the reasons I chose New Zealand was that New Zealand is so tranquil compared to Korea, which is crowded and hectic, so I could concentrate on my study in a serene environment. 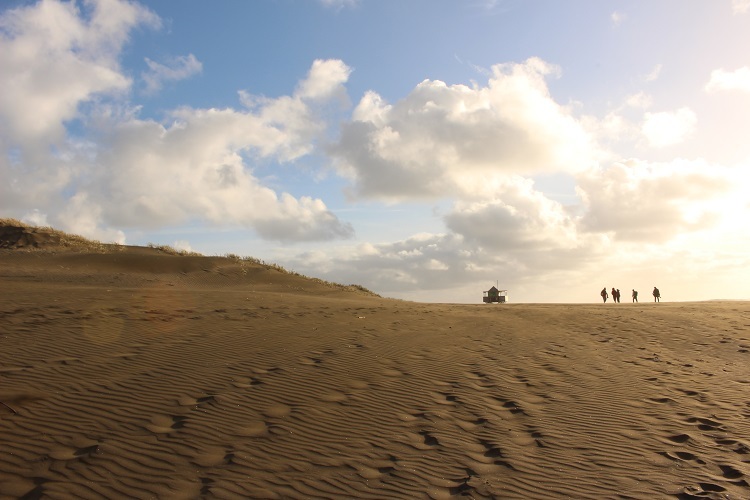 Not only was I attracted by the low population density, but I was also mesmerized by New Zealand’s breath-taking scenery: fresh air, natural environment everywhere, picturesque and majestic landscapes. What I like most about New Zealand is definitely the natural environment. Wherever I go, I can enjoy blue sky, green grass and trees, even in the city. 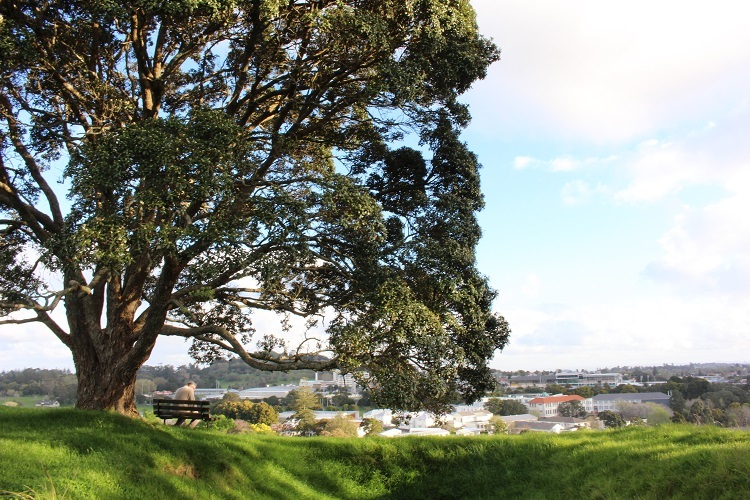 Also, there are fascinating places not that far from the city centre, such as Muriwai beach, One Tree Hill, Auckland Domain and so on. Another attraction and difference from other countries is that since there are various races in New Zealand, it is possible to meet people from different backgrounds, and experience a variety of cultures and foods. 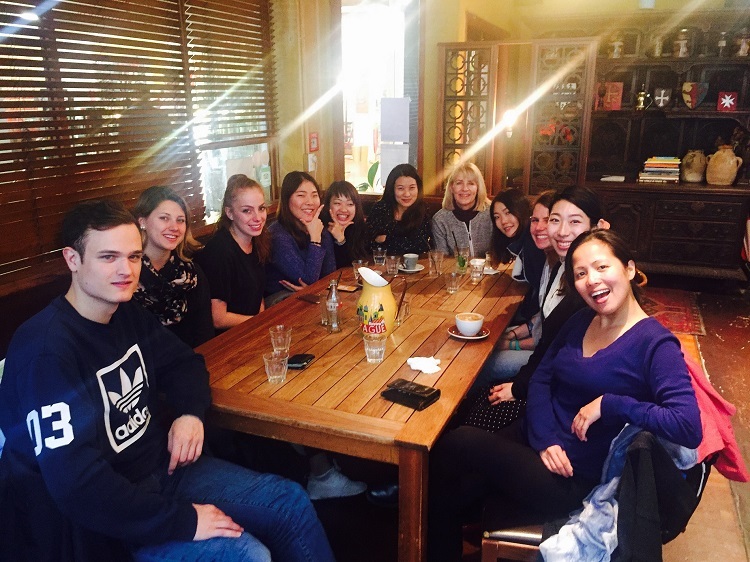 Compared to other countries, New Zealand has generous systems for and attitudes towards foreigners, especially students, which was the other reason for my decision. For example, New Zealand provides opportunities to get a job here through a job search visa after completion of a certain level of study, which is not guaranteed in other countries. Also, there is less racial discrimination in New Zealand, where the people are very kind and mature. When I was selecting a language school, I compared many of them in terms of education quality, programmes, reputation, atmosphere, students’ nationality ratio and so on. It was really important for me to choose the right school as this was the first step and a cornerstone for my long journey with limited time and capital. I searched the Internet and got recommendations from agencies for the selection. Languages International has a high reputation (that is not easy to get) with a long history, outstanding teachers, and systematic management and care for individual students. 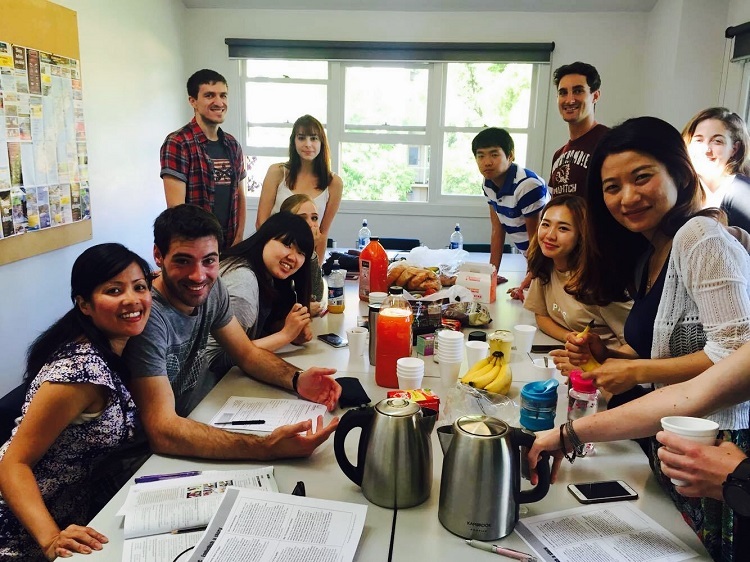 In addition, Languages International’s programmes looked varied and professional. Not only the General English course, there were specific and profound courses that were rarely included in the other language schools’ programmes, such as IELTS Exam Preparation, Cambridge Exams, English for Business, English for University and Teacher Training courses, etc. I needed to study IELTS and to get a certain IELTS score to apply for university in New Zealand. In all perspectives, Languages International seemed perfect for me. I spent almost 9 months at Languages International. During this long period of time, what I loved and appreciated about Languages International was the education systems (facilities, resources and management system) and the teachers. Languages International is equipped with good facilities (Learning Centre), extensive and up-to-date education resources (books, magazines, and various media data so on), and supportive management for students. As I was in exam preparation classes, such as IELTS and Cambridge FCE, to prepare to apply to a university, the education resources were extremely important and the resources that Languages International furnished were considerably helpful. The teachers at Languages International are professional, supportive and friendly. It is no exaggeration to say that I could finish all my studies, courtesy of the teachers at Languages International. I have seen that they motivated, encouraged, and taught students with passion, devotion and professionalism during my studies at Languages International and to this day. Now, some of the teachers are my close friends rather than the teacher-student relationship. Did your course at Languages International help you get into university? As I mentioned before, to apply for a university, I needed an IELTS score of 6.5 overall, with each 6.0 in each part of the test. I hadn’t taken the exam before and I had no idea about IELTS before I came to New Zealand. The IELTS Preparation Course at Languages International was great. The course ran for 12 weeks intensively focusing on academic IELTS. During this short period, I learnt about the exam from A to Z with useful tips and I practiced diligently and eagerly under the teachers’ guidance. The teachers of the course were very professional, supportive, enthusiastic, and dedicated. They were willing to support students by providing extra education materials and time for students. Moreover, the resources that are provided by the school in the Learning Centre were the latest and the best; therefore those were exceedingly valuable, especially when I studied alone after the course finished. Fortunately, I got the IELTS score I needed the first time I sat the IELTS exam, which would have been impossible without the teachers and support of Languages International. 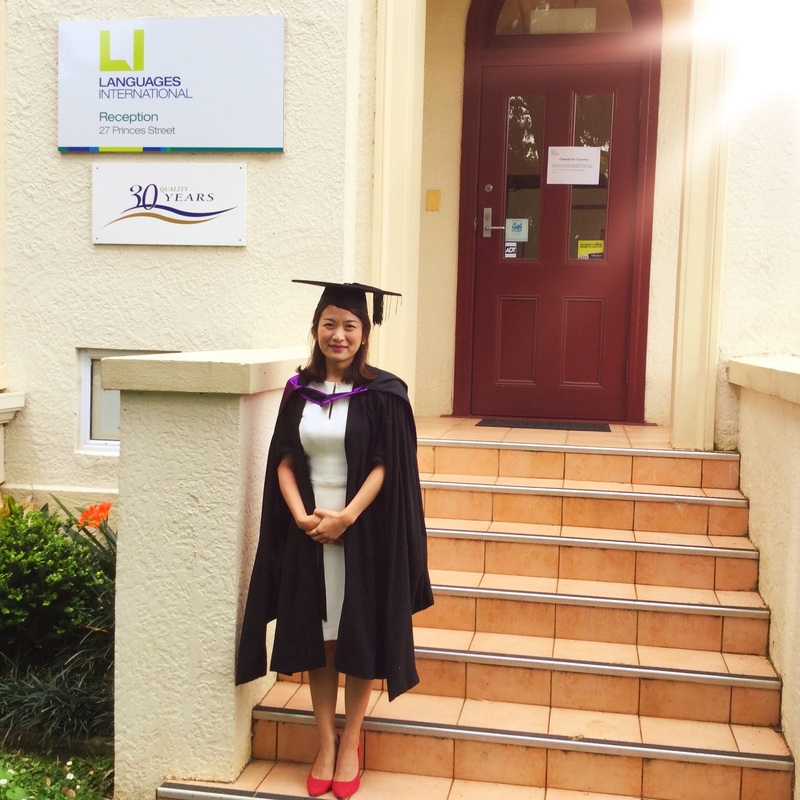 To sum up, studying at Languages International was the best choice as a first step towards my goals. 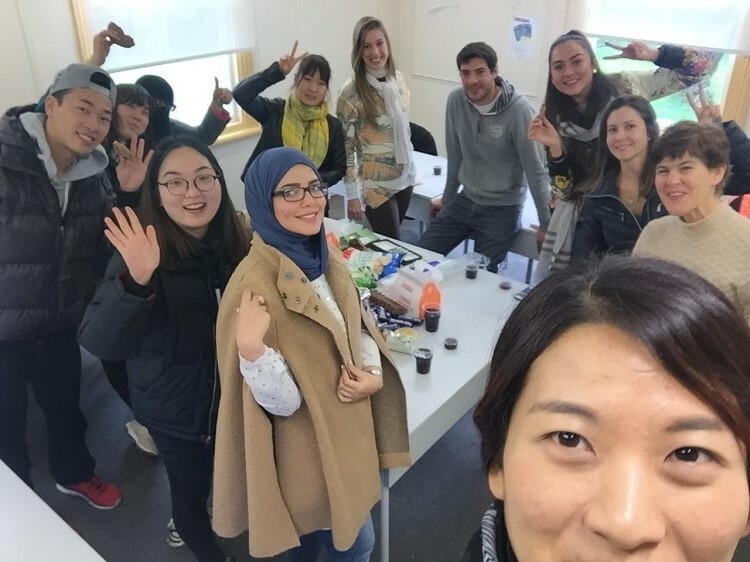 Did your course at Languages International help you succeed at university? In my 9 months at Languages International I took a General English course (3 months), an IELTS Preparation course (3 months) and a Cambridge FCE course (3 months). Each course was helpful for me. The General English course made me feel comfortable and confident in English, more specifically in speaking and listening. This was the foundation of my study in English. 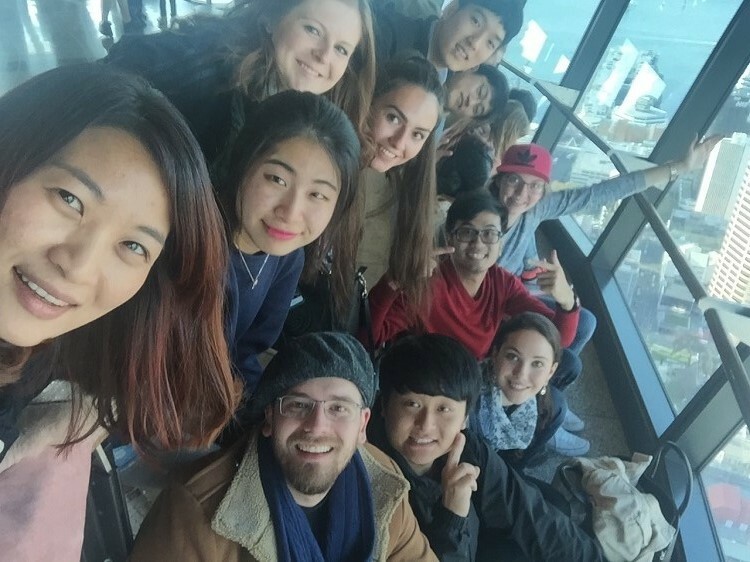 Also, by studying with friends from different countries, I was able to develop my cultural agility. The IELTS and Cambridge FCE courses were a great help to my studies at university. Since those are exam preparation courses and were very intensive and tough, during these courses I could form study habits and learn how to study effectively. In particular, it got me accustomed to reading long articles and writing essays properly, which was the basis of assignments/studies at university. What is more, as these courses covered comprehensive topics, it was really beneficial to learn the topics with academic vocabulary and practical expressions. Taking these courses at Languages International was like training in a safe zone before entering a bigger world (the university). The only thing I regret was that I did not take Languages International’s EU (English for University) course before starting university. If I had taken the course, I could have been better and it could have been easier for me to study at university. In my first semester at university, I was confused and wandered as the educational system, requirement level and quality for assignments and studies at the university were different from what I had done in Korea. Overall, all the courses I took were splendid and considerably helpful to my study at the university. All these courses enabled me to accept English as a language by being familiar with it and immersing myself in the English environment naturally, not just as a subject of study. What did you study at Auckland University? Coming from a technical background, while working in business development in the oil & gas industry and in project management in the shipbuilding industry, I saw the necessity of enhancing my management skills. As I had majored in engineering at my university in Korea and my previous job at a shipbuilding company was in project management, I thought the ‘Master of Engineering Management (MEMgt)’ programme would uniquely match my engineering background and my desire to do a management course. Also, this course would tie together my accumulated knowledge to synergistically enrich my understanding. 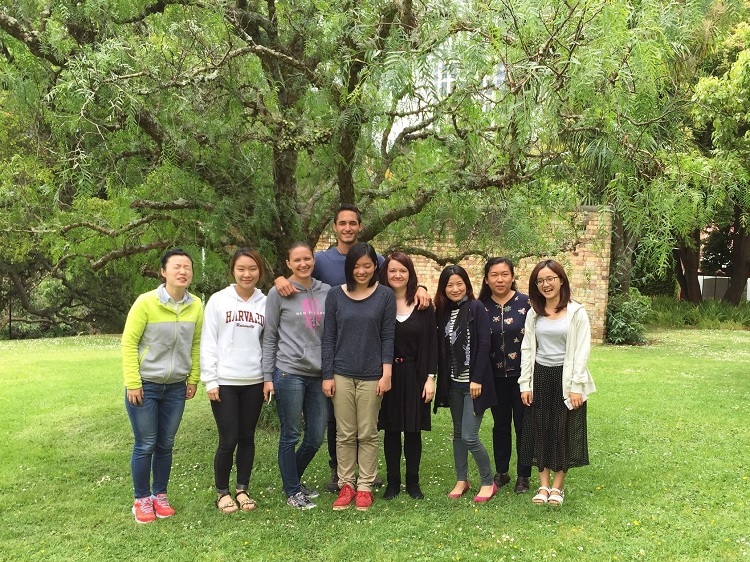 So, I completed this programme at the University of Auckland. This course is viewed as ‘an MBA for engineers.’ Unlike generic management qualifications, it focuses directly on issues unique to engineering companies, allowing you to draw from your perspectives as a professional engineer. The course consists of two parts; the Engineering part and a business part provided by Auckland University’s business school. With my goal of becoming a ‘better’ manager/engineer, I took the courses that interested me: Management, Accounting, Pathways to Organisational Best Practice, Project Management, Risk Management and a Case study. 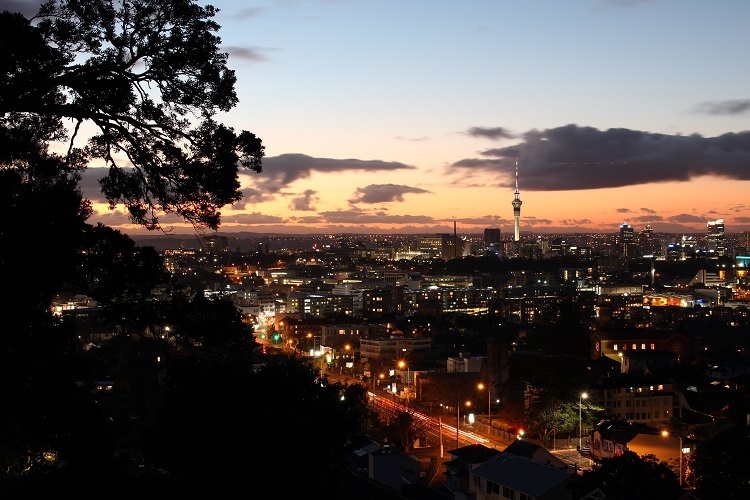 I am planning to stay here, in Auckland, and get a job with the post-study work visa that is available after completing at least one year of university study in New Zealand. With my major in Project Management, which will perfectly shape my path to find success, I’m looking forward to finding a position as a project manager/administrator in the manufacturing/construction industry, applying a range of management skills, approaches and techniques that I have learnt and acquired at university. I think living abroad, especially in New Zealand, is an unmissable opportunity. 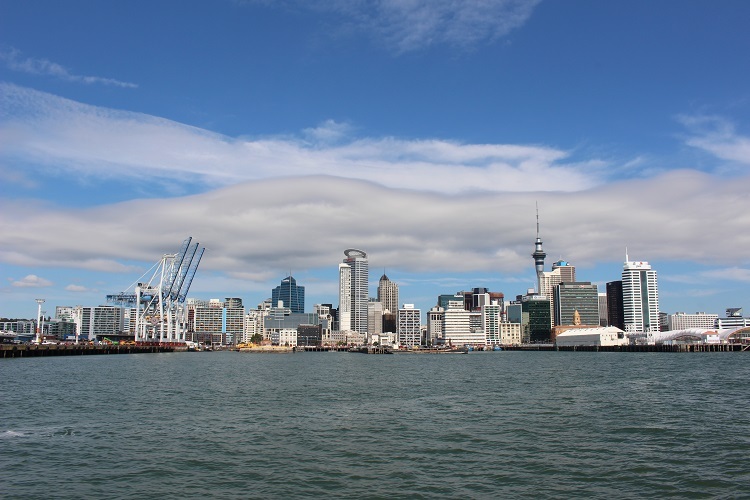 Living in other countries and setting up a base there have been my long-cherished hope and New Zealand is the most attractive place, considering its natural environment, standard of living, culture and national systems. Based on my achievement in New Zealand, I would like to pursue my dream as far as possible. Seen from my experience at Languages International and the University of Auckland in New Zealand, this was the best ever opportunity in my whole life. It was a tremendous and inspiring time to challenge and conquer myself, which was obviously worth trying! So, I would like to recommend studying and going to university in New Zealand. It is a great chance to take a leap and improve your skills, capabilities and competence. Moreover, it can change your life. If you have a dream, just try it! You are the one who can change your life.